It (no pun intended) has been an absolutely outstanding year for horror movies. Not only has there been an unusual amount of quality thrillers getting a wide release, but the majority of them have been crushing it at the box office. One such movie is Annabelle 2, which has officially crossed the $300 million mark at the global box office. That makes it one of the biggest hits of the year for any studio, at least where profitability is concerned. According to Box Office Mojo, Annabelle: Creation, with a few additional box office dollars from around the world over the weekend, now has a grand total of $301.4 million worldwide. The movie is really slowing down, as it's been out since early August, but that is a pretty significant milestone for this particular movie. Since New Line and director David F. Sandberg managed to make the movie for a reported $15 million production budget, that $301 million figure makes Annabelle: Creation an incredibly profitable movie. Granted, that $15 million number doesn't account for marketing, but still, this horror sequel made New Line an awful lot of money. It's been a great year for horror in general, but New Line Cinema is having a particularly excellent run. 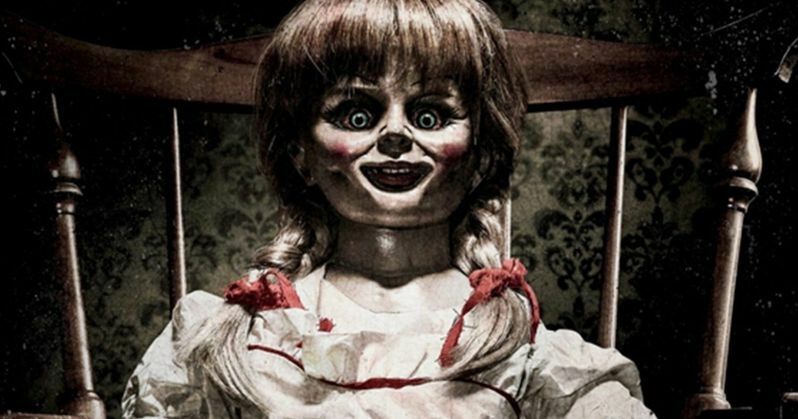 Not only have they had Annabelle: Creation raking it in, but they are also the studio responsible for IT, which has become the highest-grossing horror movie of all time, with $630.6 million worldwide. Annabelle: Creation, which is a spin-off set within The Conjuring universe, has helped push the Conjuring franchise to more than $1 billion worldwide. It also surpassed the first Annabelle, which brought in $256.9 million back in 2014. Annabelle: Creation, which has a 68 percent on Rotten Tomatoes, was received much better critically, when compared to the first Annabelle, which has a lowly 29 percent. That has been a common thread for the biggest horror hits of 2017. IT currently boasts an 85 percent approval rating from critics on Rotten Tomatoes, which helped carry it to such success. The other big genre hits this year, Get Out ($253.1 million) and Split ($278.3 million), both from Blumhouse, were also well received by critics, earning a 99 percent and 74 percent approval rating on Rotten Tomatoes, respectively. New Line Cinema looks to continue their hot streak in the coming years. Not only do they have IT: Chapter Two in the works, but they also have more Conjuring spin-offs in development. They are currently working on The Conjuring 3, as well as The Nun, which is set for release next year, and The Crooked Man, which doesn't currently have a release date. Box Office Mojo notes that Annabelle: Creation is the 24th highest-grossing movie worldwide for 2017, just behind The LEGO Batman Movie. That's not bad for a sequel to a movie nobody seemed to like.